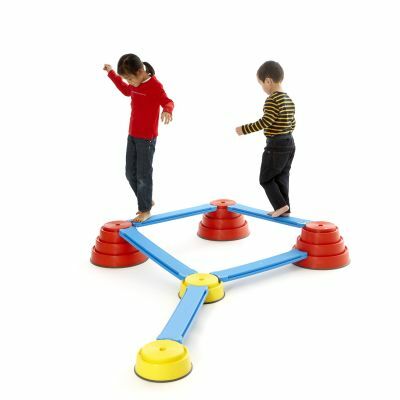 Combine the elements of this challenging balancing system to set up all the balance courses and landscapes you can build. 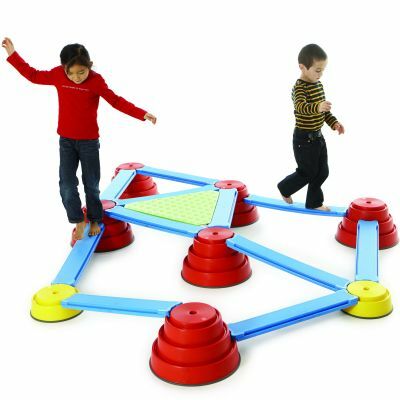 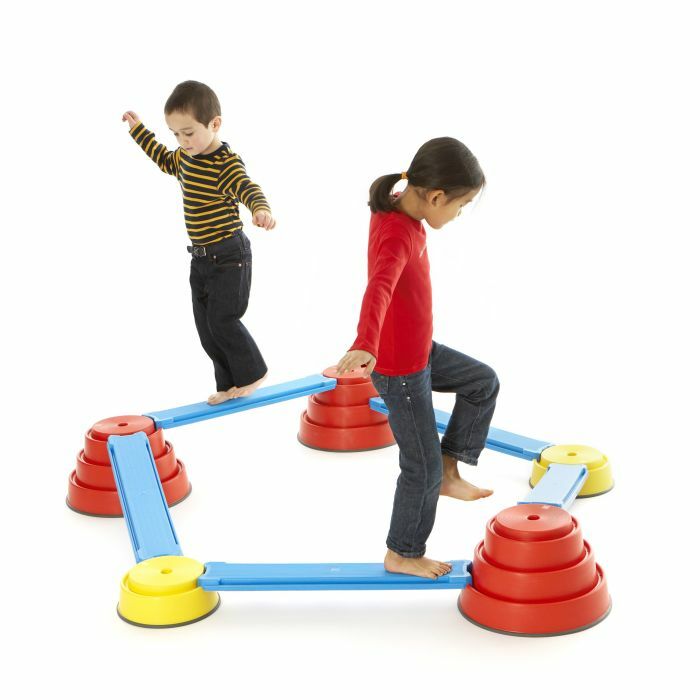 The make and balance course set provide great flexibility and the level of difficulty can be varied to suit the development levels of the children. Can be built at heights ranging from 100mm to 240mm. The basic course set includes elements for building a whole balance course and includes 2 Yellow Tops, 3 Red Tops and 5 Planks.